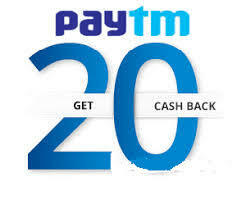 Paytm MONTHLY20 Coupon – Get Rs 20 Cashback on Mobile Recharge of Rs 20 or more (January Month for Selected users). If you haven’t recharged on Paytm from this January Month, Then Here is a offer for you where you will get the flat Rs 20 Cashback on Mobile Recharge of Rs 20 or more. Coupon code is valid for 1st time recharge in this month, you need to Apply the Coupon while Recharging, So Hurry up !! How to Get Rs 20 Cashback on Recharge at Paytm ? 6) That’s it, You will get the Rs 20 Cashback in your paytm wallet within 1 hour.